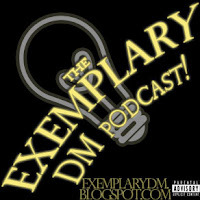 The Exemplary DM Podcast: Season 1 - Episode 1 of the Exemplary DM Podcast is LIVE! The Dungeon Master never picks on anyone. The DM never plays favorites. The DM is never personal. The DM is always prepared. 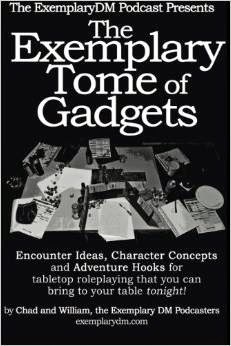 If the DM isn't prepared, the DM is extemporaneously moving the campaign down his or her path. The DM wants the PCs to be challenged, but also to have fun. The DM wants to cooperatively tell a story. Accusing, suggesting, joking or otherwise insinuating against the above truths is tantamount to sabotaging your own gaming experience, stealing from the group's enjoyment and diminishing the DM's desire to play this game with you. DM Tip of the Podcast: Status Markers! Right-click and Save-As, this is a 74mb file! Download here!